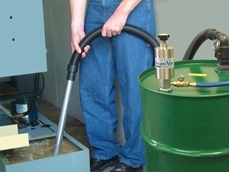 Compressed Air Australia Pty Ltd introduces a new range of heavy duty HEPA vacuums from EXAIR for 205-litre drums. 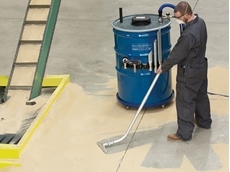 Compressed Air Australia Pty Ltd introduces a new heavy duty dry vacuum cleaner from EXAIR for 205-litre drums. 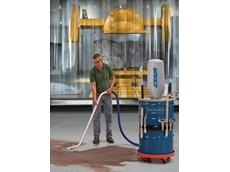 EXAIR’s new 205-litre premium heavy duty Dry Vac system is a rugged, industrial duty vacuum cleaner engineered to rapidly vacuum high volumes of dry material. The Dry Vac system is built for tough industrial environments with a hardened alloy construction that resists premature wear. 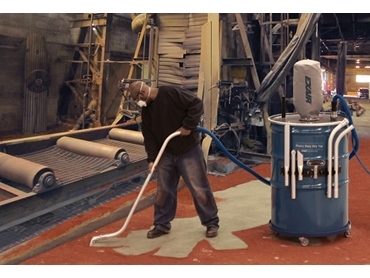 With no motors or impellors to clog or wear out, the compressed air powered vacuum is ideal for cleaning abrasive materials such as steel shot, garnet, metal chips and sand, but can also be used for general purpose applications. EXAIR’s new heavy duty dry vacuum system comes complete with a 3m static resistant hose, 6m compressed air hose, shutoff valve, pressure gauge, heavy duty aluminium tools, tool holder, drum dolly and a 205-litre drum.